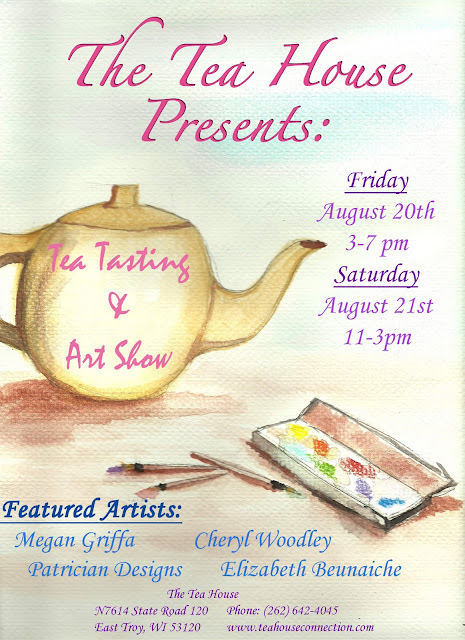 Tea Tasting and Art Show! I have been invited to be part of this fun event. The Tea House is a great little old brick house here in East Troy that is dedicated to the art of well being. They are a great resource for alternative healing and well being.